When trying to eat healthy and lose weight, tracking what you eat can help you become aware of habits and behaviors that may contribute to hidden weight gain. Keeping a food diary also helps keep you accountable and motivated. Here are 5 easy tips to get started! 1. Bite it and write it. If you write meals and snacks down after you eat it, you will not forget it. Also, try not to forget about those sneaky snacks, like the candy bar at work or the few bites you finished off your kids’ plate. 2. Keep it handy. If your food diary is not convenient, it will be a lot harder to stick to. Pick a journal that is easily portable, and fits in your handbag or briefcase. Since you want to write foods down immediately after eating them, it is important to have a journal you can take with you. You could also write on a small notepad throughout the day and update your journal every night. 3. Be specific. The quantity of what you eat matters! Instead of writing “a handful of crackers”, write 10 crackers. It is also good to start getting in the habit of measuring your food, so you know how much of a portion you are eating. 4. Research and record. 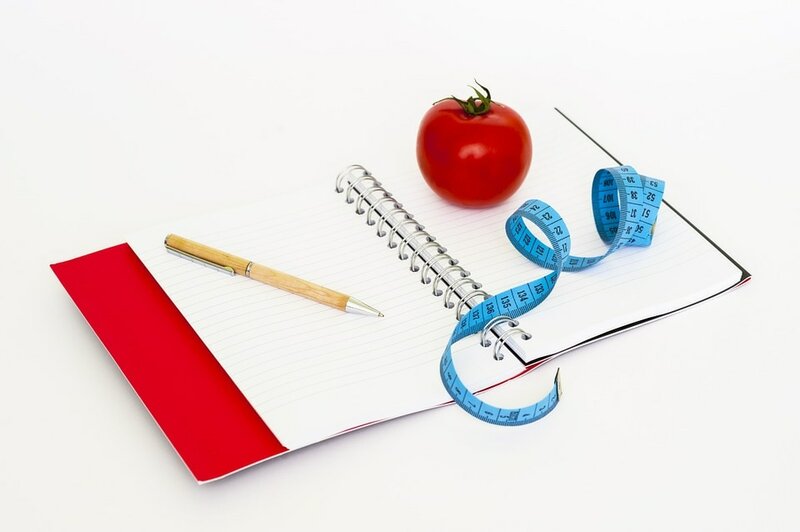 Try not only writing down what you eat, but also recording the calories and nutritional information of what you eat. You might be surprised by what you learn, and this is also a good way to start getting in the habit of reading food labels. 5. Focus on patterns. While it can be difficult to write down slip-ups, try to focus on observing what you eat and why instead of judging. You may notice patterns that can help you- for example, if you always resort to eating sugar in the late afternoon, you might realize that you should eat a heartier lunch or plan to have a healthy, filling snack at that time. This is not about making you feel bad about your choices. Food journaling is just an opportunity to start making change for the better. 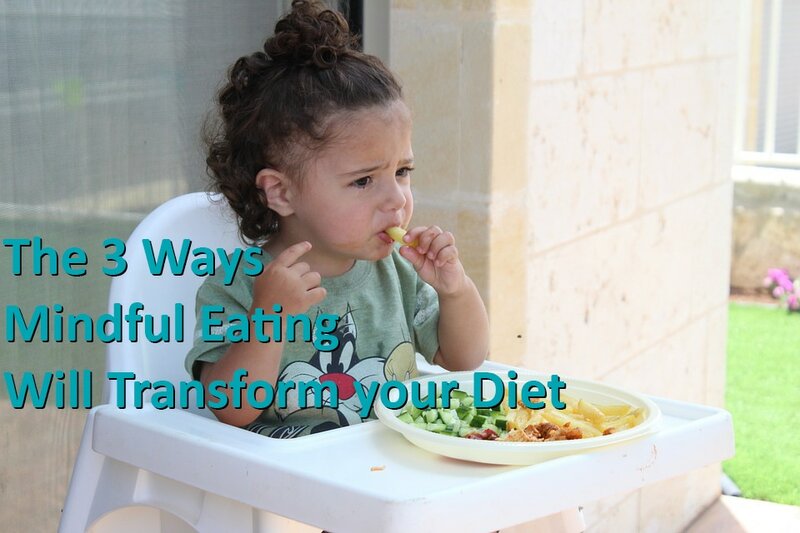 Hopefully, these tips will set you on the path to more mindful eating. Consider consulting a registered dietitian nutritionist, and bringing your food journal with you. A dietitian can help you see patterns in what you eat, and provide support and information to make positive change. Mindful eating is a practice of paying attention that can help you on the path to healthy eating. Paying attention to what, when and how you eat helps you to learn when your stomach is full, when you really need to eat and to eat the foods that will actually satisfy you. Today, we will discuss how you can implement principles of mindfulness into your diet without creating additional stress. 1. Slow down. We often unintentionally overeat because it takes about 20 minutes for our bodies to send a signal to our brain that we are full. By slowing down, you will begin to see when you are actually full. Try sitting down at the table to eat, not watching TV during meals, and putting down your fork between bites as simple ways to slow down. Eating should be enjoyable- take the time to savor every bite, and explore the flavors and textures of food. 2. Listen. Are you actually hungry, or are you angry, stressed or tired? Sometimes, we interpret other emotions as hunger. Our bodies often signal hunger with signs such as stomach growling, low energy or feeling lightheaded. If you do not feel hungry, but you want to eat, try to interpret these emotions and see if food is actually what you need. 3. Develop healthy habits. Often, we graze and snack without even realizing it, grabbing a few crackers in the kitchen or sitting down to watch TV and eating a bag of chips. Sit down when you are not hungry, and plan out a meal schedule that works for you. Set the table for meals and snacks, and when you eat, eat. Take breaks from work to eat, and try to move away from eating in front of the TV. To learn more about mindful eating, join KareBoost Health’s Mindful Eating Workshop. We will teach you about the many different reasons people choose to eat, and explore the meditative art of mindful eating. These workshops are a chance to learn and practice this skill, as well as share thoughts and feelings with a group of people also exploring this healthy and satisfying practice. Come Check out our Health Coaching Workshops Weekly on Thursdays at 5pm!! In today’s blog, we will discuss what coaching is and how it can directly help you achieve your life goals. Coaching can assist you in all areas of life, whether you would like to make career changes or start making healthier food choices. A good coach can help you identify and focus on your priorities and provide a safe environment where you can build the structure and accountability necessary to change. Here are five reasons to seek one out today! 1. Clarity. Between work, school, family and other obligations, you may feel like you are being pulled in twenty different directions. Your coach will help you determine what your priorities are and help you to stay focused on what is really important to you. 2. Vision. It can be difficult to obtain enough perspective on our own lives to see our weak areas. Coaches create a safe and productive environment to identify blind spots, and help you realize what may be missing from your plan. They will be honest with you, but in a productive and non-critical manner. 3. Accountability. It is a lot easier to stay on track with support. You can absolutely accomplish your goals on your own, but for most of us, having someone to answer to is incredibly motivating. Coaches also keep you on track and help identify behaviors and actions that are bringing you closer to your goal. 4. Focus. Goal setting is wonderful, but trying to accomplish everything at once can backfire. A coach can help you identify what is really important to you, and can also advise you on the opportunities that are best deserving of your time and energy. 5. Learn new skills. Coaching originated as a way for high-powered business executives to gain a competitive advantage and increase engagement at work. While your goal might be health related, many of the same skills apply. Because coaching originated in a business environment, coaches model skills that are valuable for leader. After working with a coach for some time, you might notice that you start to adopt powerful listening and questioning techniques- equally useful at home or in the boardroom! An investment in yourself is an investment that provides consistent benefits. Whether you are interested in changing your diet, living a happier life, or setting your whole family on a path to health, KareBoost’s group coaching sessions can help you identify your goals and set you up for success. Join us every Thursday at 5 pm for adult group health coaching. Welcome back! Last time we took a look at what stress is; where it comes from; and how too much stress can be unhealthy. This week we are going to take a look at some evidence-based methods for managing stress. I know, I know: Easier said than done! But, knowing that avoiding stress can make a real difference in your health, try to prioritize it. Try to avoid overscheduling yourself; make time for self-care, rest, and relaxation. Leave a little earlier for things, so you don’t need to stress about being late. 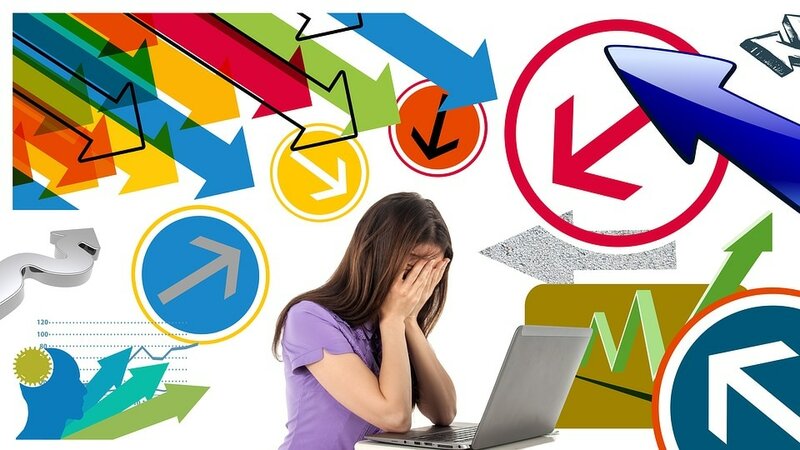 Try to identify the major causes of stress in your life and see what you can do to reduce them. A mantra is a word or simple phrase you repeat to yourself in order to center your thoughts and aid in reflection and maintaining calmness. Combining a mantra with deep breathing can be a powerful technique to remain calm during life’s minor annoyances. So, as you run into stressful situations this week, try these techniques. Next week we will take a look at more advanced techniques for dealing with more serious stress. This can be deeply helpful if you are experience conflict with someone you know and can talk to, but even if you are not able to actually know why another person did what they did, it can be helpful to imagine they had a benign motive or at least didn’t know they would be upsetting you by doing what they’re doing. For example, if someone cuts you off in traffic, you may as well assume they did it by accident as assume they did it on purpose. You’ll probably never know the truth, but it will likely be less upsetting to imagine it was an accident. You can’t always control the source of your stress, but you can control much of your response. Imagine yourself from an outside perspective and visualize how you want to be seen responding to stress. This can be particularly important if you have children, because they will learn how to deal with stress by watching the adults in their life. Most of life’s daily hassles pale in comparison with the good things in life. Remind yourself of those good things in your life. Friends; family; pets; health; a meaningful career; love of art or nature; whatever it is that makes you deeply happy: Bring it to mind. Keeping a photo or other token of what makes you deeply happy with you all the time can help with this. While it’s not always possible or appropriate, try to find the humor in difficult situations. Even if it’s only a joke you keep to yourself, making it can help diffuse tension. If you are able to take action to improve the situation, even if you can’t totally fix it, that can often feel better than not doing anything. It’s also problems that seem intractable at first might begin to seem more manageable once you take a few steps towards solving them. Having said that, no one can solve every problem, and it’s important to be realistic about what you can and can’t do. Think about times in the past when things seemed really bad, but got better. Remind yourself of all you’ve been through and overcome in your life up to this point. Everyone needs help sometimes. If you find you are not able to manage a particularly difficult situation on your own, reach out to someone who can help. This could be a parent, a friend, a partner or spouse, or a mental health professional. Come work with our Health and Behavior Coach on managing your stress. Vegetarian diets are becoming more popular all the time, and for good reason. 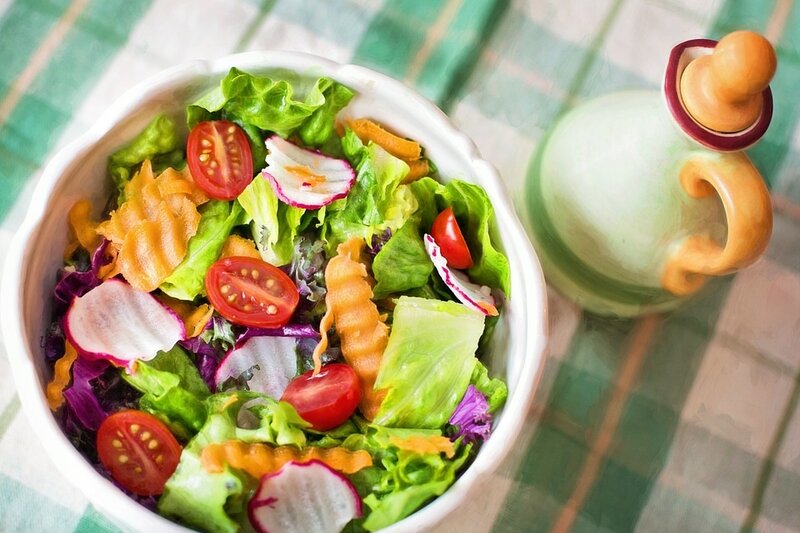 Vegetarian diets, when done correctly, can be very healthy for the eater, and better for the environment as a whole, when compared to a diet heavy in meat. However, the important caveat there is “when done correctly.” Vegetarian diets, like any diet, require planning and thought to ensure they are healthy and balanced. Just giving up meat does not necessarily lead to a healthier diet if meat is replaced with junk food or things like French fries. If your child is interested in eating vegetarian, discuss with them the importance of making healthy replacements for meat in their diet. Foods like tofu, beans, and soy milk can play an important role in providing the protein, iron, and calcium needed in a diet. There are many vegetarian cookbooks and online resources that can provide bountiful recipe options. Take a look at a few of these recipes, and prepare a few with your child. Going vegetarian can be a healthy and environmentally friendly choice for the whole family. But, it is important to be sure to make smart replacements for meat when making the change. Come talk with our dietitian to make sure your child is getting the right amount of nutrients. 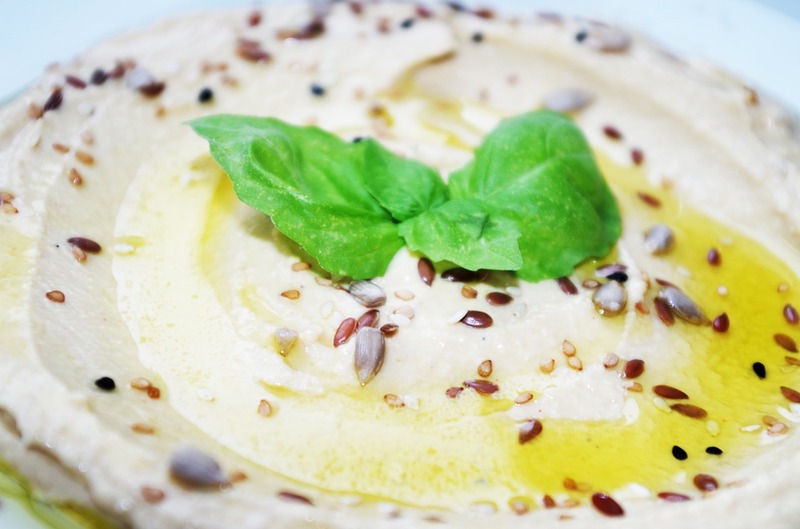 Hummus has been a popular food since at least the 13th century, and modern nutrition science has shown it continues to be a great choice when it comes to building a healthy diet. Hummus is high in protein and fiber, both of which are important nutrients that promote a feeling of fullness which can help prevent overeating. A 2014 study published in the Journal of Nutrition and Food Sciences found people who regularly had hummus as a snack were half as likely to be obese or have high blood sugar compared to people who did not eat hummus. Hummus is a healthy spread, especially when used as a substitute for less healthy spreads like mayonnaise or cream cheese. Hummus makes a great dip for vegetables and can be particularly helpful in making vegetables more appealing to young people who might not like vegetables yet. It is easy to make your own hummus at home. All it requires is a few minutes, a few ingredients, and a food processor. Making your own hummus is cheaper than buying it from the store, uses less packaging, and means you have control over the ingredients, which means you can alter your recipe to meet your specific dietary goals. There is a basic hummus recipe at the end of this article to get you started! The key to keeping hummus healthy is keeping hummus simple. The basic ingredients are chickpeas, olive oil, lemon, garlic, and tahini. Anything beyond that might be making that particular hummus a less healthy choice. Common additives ideally avoided are potassium sorbate, artificial flavors, colorings, or benzoates. These are sometimes included by manufacturers to extend the shelf life of hummus or enhance its flavor. Another thing to be on the lookout for is hummus manufacturers replacing olive oil in the recipe with a cheaper and more processed form of oil, such as canola, vegetable, or soybean oil. These oils do not have the same anti-oxidant benefits of olive oil. Taking a family yoga class can have great health benefits for you and your children, and even has benefits that extend beyond the physical. Whether you decide to take a mommy and me class with your baby, or seek out a well-rounded family yoga class for you and your older kids, family yoga can give kids a sense of confidence and calm that will benefit them in life. Here are 5 reasons to get started. 1. Try something new together! Just like adults, kids want to be good at things, and the unfamiliar can be, well, uncomfortable. If you have never tried yoga before, and you are nervous about doing so, a family yoga class is a perfect place to start. Family yoga might be more relaxed and laidback than an adult class, and you might be having so much fun with your kids you will forget to be nervous! 2. Be bold and set a great example. While yoga might not be that unfamiliar, embarking on new adventures and trying new things with your kids teaches them important lessons. Having experience being new at something will set your kids up for success when they continue to be faced with the unfamiliar in school and beyond. Also, set a great example by giving yoga a chance- generally, it takes about 3 classes to feel comfortable and really start to enjoy the practice. 3. Connect as a family. Yoga is a great opportunity to put those cell phones away and move! If getting your kids to put down their electronic devices and pay attention is a bit of a challenge, a family yoga class can be a great change to connect in a technology free zone. 4. Slow down. Just like adults, kids today can be overscheduled between school, sports, after school activities and studying. Giving kids an opportunity to explore a fun activity in a non-competitive environment can help them learn how to relax and restore. 5. Learn from each other! Yoga is unique in that each person’s rich inner life translates into an individual practice. You might learn something new about your kids, and they will have a wonderful chance to see you learn a new skill as an adult. If you are inspired to start a family yoga practice, check out the wonderful family yoga classes and more that KareBoost Health offers.